After commenting on the utility of handwriting practice, and how typing practice can help bring Japanese learners face to face with unfamiliar or misunderstood kanji (i.e. 訂正云々 ), I thought it was timely to see Yuta’s most recent video, explaining how Japanese typing works. If you’ve ever wondered how you could type thousands of kanji with a regular QWERTY keyboard, then this is a perfect intro. The video is only 5 minutes long, but he gives a really well-rounded explanation of what is involved with the typical way of inputting Japanese into a computer— I could *totally* relate to his comments about keyboard shortcuts behaving strangely when you are using another keyboard. If you’re new to Japanese, I can understand how the prospect of typing in this way might seem intimidating; however, I can assure you that it starts to feel quite intuitive with some practice. I made a video of typing Chinese for a post last year— if you look closely, you can see that the process of converting the input (i.e. following pinyin reading) into Chinese characters is quite similar to what Yuta is describing here for Japanese. It looks like Prime Minister Abe misread some of his speaking notes this week. The Japanese internet is abuzz with his (minor) slip up with a kanji (Japan Times). I thought it was worth sharing because this is exactly how Japanese learners (obviously just a slip of the tongue for the prime minister) make mistakes with reading. This is why there is value in the kind of printing and typing practice that I alluded to in a recent post. You can do the same kind of practice with your computer (i.e. retyping things); however, beyond improving your typing dexterity, the focus of the practice actually shifts towards reading. This will seem counterintuitive if you don’t understand the way Japanese works, but the reality is that it’s not that hard to recopy an extremely challenging passage by hand, but if you can’t *read* it, retyping it will be almost impossible. So, using Prime Minister Abe’s mistake as an example, if I gave an intermediate Japanese learner the task of writing “訂正云々” by hand, it wouldn’t be unmanageable. Even if a courageous beginner to Kanji didn’t understand the meaning of 訂正云々, or wasn’t familiar the characters, my guess is that they could produce something legible; these characters aren’t that complex, and don’t present any rare stroke patterns. Having said that, if you were an intermediate learner trying to type these words and you guessed “Teisei Denden” (ていせいでんでん), your computer wouldn’t easily display “訂正云々”—it would only appear smoothly if you input the correct reading of “Teisei Unnun” (ていせいうんぬん). In my ‘typing practice mode’, this would be an opportunity to stop and figure out the correct reading of the characters before moving on. 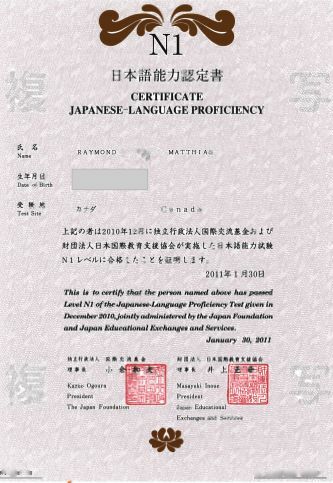 All of that to say that typing and printing practice can help to focus our study of written Japanese, BUT CLEARLY, the most important takeaway from this story is that if the Prime Minister of Japan can make a Kanji-reading boo boo, SO CAN YOU! Take it easy on yourself– reading Japanese is tricky business! A friend asked me what I’d been doing to try and get back into things with Japanese and I listed off a few things that didn’t surprise him: listening to ナウくない Japanese music on the way to work (Mr. Children, Dreams Come True ), watching one of my favourite Japanese movies (Love Letter) and youtube videos here and there (really neat mini-documentary on棒倒し/ Bo Taoshi, which I had never heard of). One thing that caught my friend by surprise was my comment about simply practicing lettering and typing. I don’t know if other people agree, but I’ve always found it quite useful to simply ‘copy’ a passage a few times and note some of the patterns that get used. This was one of the main ways that I practiced when I was in university— yes there was the studying of vocab lists and wrestling with grammar explanations etc., but I always found it useful to simply copy the text a couple of times and try to print/write the characters so that they look presentable. We were often assigned passages to practice until we could recite them smoothly in class, and I found that being able to recopy the passage smoothly helped me prepare. For example, I went back to my university library and found another one of my old textbooks (Modern Japanese, A Basic Reader, Harvard University Press); I took a passage (see above) and simply copied it out 2-3 times. It seems to be an effective way to tap into muscle memory– it didn’t take long to feel comfortable writing again (my characters are nothing to brag about, but I think they’re acceptable). I still have a couple of pads of 原稿用紙 from my university days– I’d never been able to bring myself to throw them out, so it’s been neat putting them to use. Lettering practice also has the additional bonus of being very easy to do in small bursts– I can do it for ten minutes and feel like I’ve accomplished something. Put another way, if you understand the basic mechanics of the way Kanji are put together, you can reasonably reproduce an unfamiliar character by hand; however, if you don’t know how to read a particular kanji, you won’t know what keys to press in order to have it appear on the screen. Anyway– all that to say that both typing/keyboarding and printing practices can be a challenging in meaningful ways. One exciting bit to note this week– Nicholas and I have our new passports! I told him that the Pokemon he loves so much are from Japan and he is getting more excited about our trip in the summer.